Las Vegas is one of the largest locations of Corporate Events in the world. The city brings in almost 20,000 shows per year. With that there are quite a few opportunities for great photography to be taken. There is everything from new products that will be introduced to the market, awards that are presented, to friends and colleagues meeting from around the world. 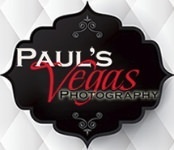 At Paul's Vegas Photography we capture these wonderful moments and strive to bring the best image of your company. Corporate Photography is about capturing the moments that make you proud to work for the company you work for. We tell a story just like wedding photography. It can start at the beginning of the day with breakfast to late in the evening getting awards that are given to deserving individuals that make it happen. Look at our corporate page to see how we create images that will represent you at your best. The photos that we capture show the fun you had while in Las Vegas. Another thing to consider while your staff is all in one place is to refresh your image with new head shots. Clients want to know who you are when you speak to them so hire us at your trade show to take your corporate head-shots. We set up at your booth, suite or the convention floor and get everyone that works for you with a consistent look for your company website.